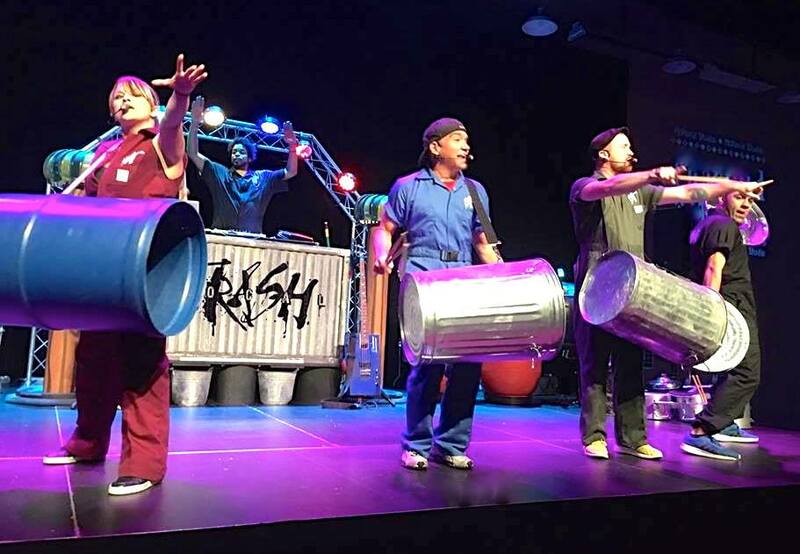 Vocal Trash has been entertaining the globe for 19 years and will perform live at the Mansfield Center as part of the Great Falls Community Concert Association‘s 2018-19 season. Vocal Trash’s mission is to unite the world through song and dance. They are environmental activists that have dedicated our lives to inspiring others to find peace and love, while saving our planet. Everything on our stage we have rescued from a landfill- from tool box guitars to a milk urn bass; upcycling at its finest!